First for stater i was have the Thai Spicy Salad. It is shredded papaya with bunch of vegetables, squids and prawns in spicy sweet and sour sauce. It has really strong spicy even though i ordered medium. 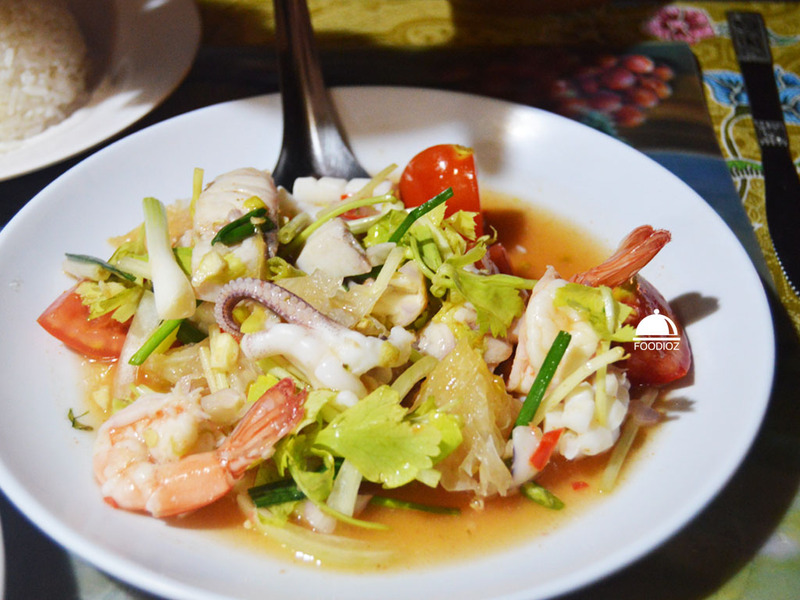 All the ingredients blended well done in it sauce and the squids & prawns cooked well done. It does gave me sense to eat more. Next dish i have is huge plate of Fried Prawn in Thai Herbs. It is looks stunning, and prawns looks beautiful. They are using King prawn which is smaller than tiger prawn but i think it is good enough to fulfill the seafood desire. Prawn absolutely cooked nicely in perfect herb sauce. 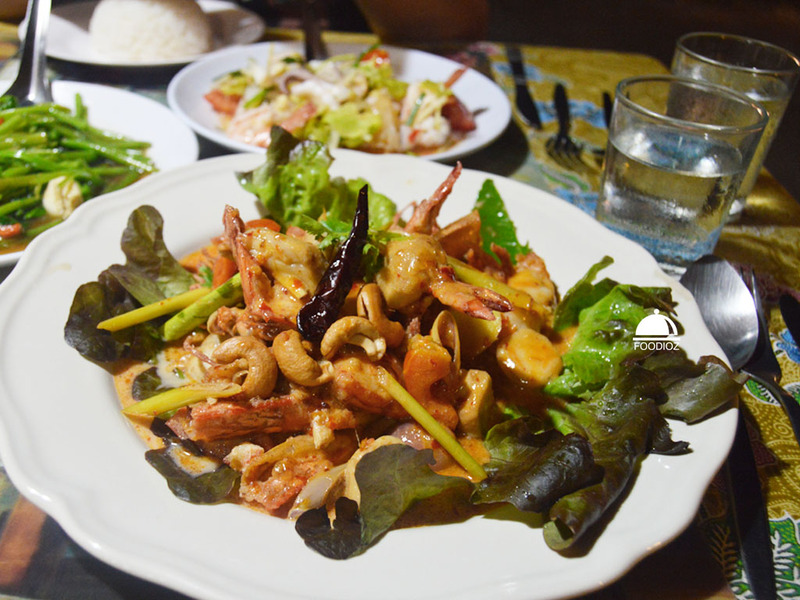 Kind of sweet taste than the salad but it is spicy as well also there's bunch of herbs leaves which give the authentic taste on it. 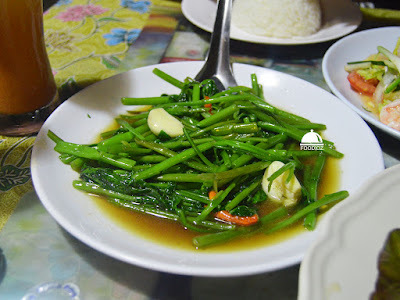 Then i have one of favourite dish is morning glory with oyster sauce. I always love Thailand style cooking morning glory, it has strong flavor of onion and deep oyster sauce give a really tasty sense of it. After had two spicy dishes, this is perfect to give the balance. 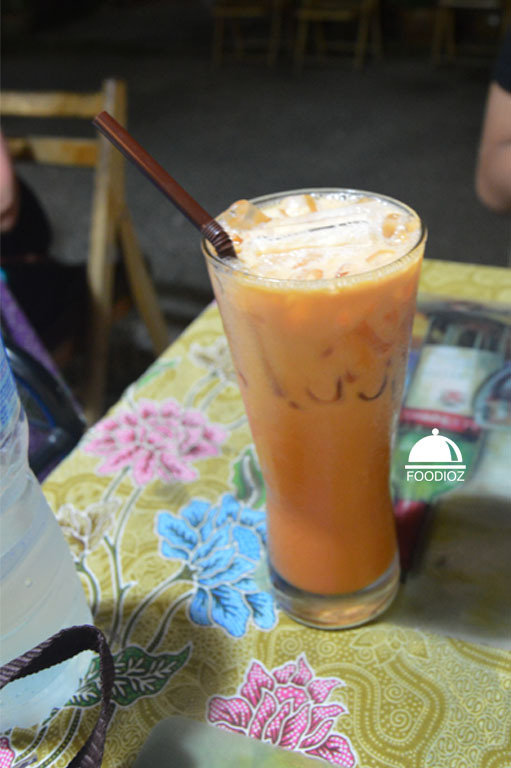 Don't forget the Thai ice Tea, they sure served a creamy and rich Thai ice tea. As visiting Thailand, i always adored to have Thai Ice tea many times. Over all, Tom ma yom is my recommendation spot to go when you are in Krabi. Even though it is tiny, but they sure have the consistence servings good foods with nice welcoming service and for your note: it is number 1st spot restaurant in tripadvisor and please make a reservation before.